So finally got around to updating the rear lights to the Gen2 ones, while the aftermarket ones for the Gen1 are good, they still don't update the rear as much as a full conversion, but obviously there is a price difference! So everything went fine, swapped over the parktronic sensor brackets, installed rear bumper & lights and then finally installed the rear module which goes under the passenger seat. They re-installed the old rear module copied the settings and then copied over all the data from the old module to the new module - lights still didn't work! I also get my horn beeping when I lock the car - again working perfectly before. Looks great. Looks like from your description that your missing the control units. If you do a Google search you'll see there are some detailed "how to" on your topic. 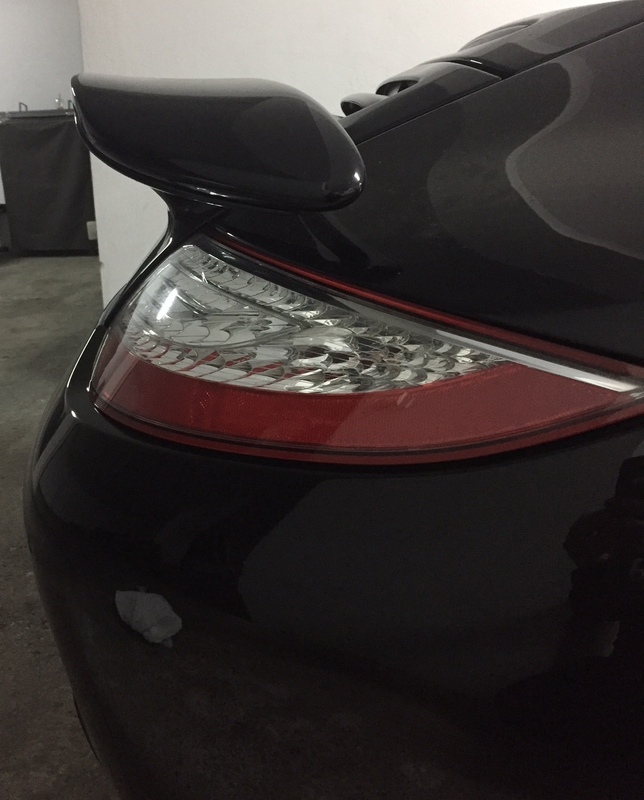 Btw is your car a 997.1 Turbo or is it a C4S with Turbo spoiler assembly. 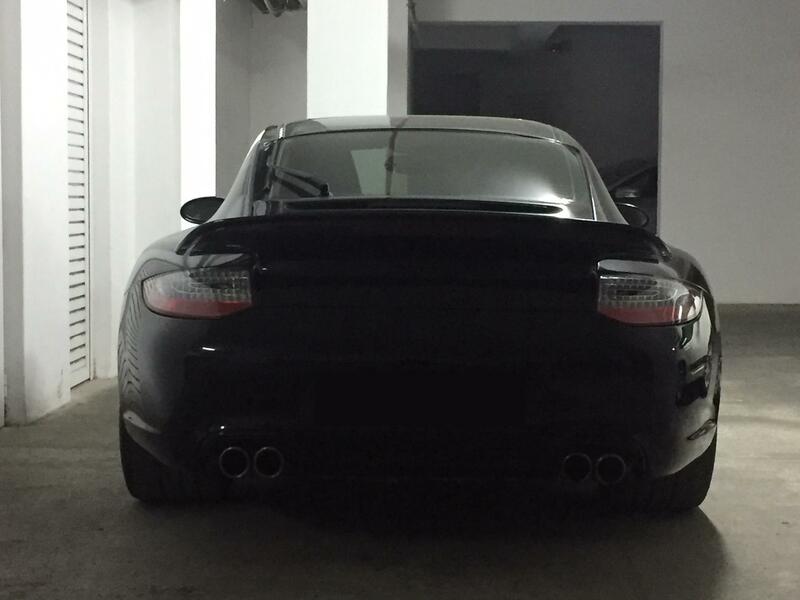 The pic of the rear of your car makes it look like you've got a C4S rear number on. Just curious. The beep when locking can be a sign something isn’t properly closed. Centre console can cause it. Glad to see them finally fitted! They do suit the darker car better than the grey. When I did my conversion, I bought a pair of interface modules which were supposed to avoid the need for changing out the original module. It turned out that they didn't quite work as advertised & caused the dash indicator to flag up as a failed reversing light. I ended up having to change the original car rear module for a gen 2, keep the interface modules at the rear & modify them to get everything working as it should. Thanks for the heads up Wayne, I'll have a read through. I agree. I love parking it at night and looking back at it. I'm off to DC & NY for the next 2 weeks so I'll have another look at getting it sorted when I'm back & I will see if there are any goodies to pick up while I'm out there. Hi Nik, Phil has just prompted me lol! - Ive just read through your thread - What you've done to car looks very nice! Regarding the indicators blinking fast - I really think this is associated with either the rear control unit or the settings you have selected within PIWIS. You need to ensure you have the correct control unit which it looks like you have done, and then ensure you have selected all the correct associated options within PIWIS, in particular telling the car via the PIWIS option that it is now running LED lights. I know you have tried programming it already, but I am pretty sure that is where the issue with the rapid flashing lies, so get it hooked up again to PIWIS before you try anything else - also it is very important to do a 'vehicle handover' within PIWIS at the end of the programming session as well, in fact this could be the issue have you not done that! Also - if I understand the sequence of events correctly from your first post, it sounds like you latterly have copied the old data from the old control unit into the new one - surely this then will have reverted back to the non LED light setting and then you removed the tab from the connector to ensure it seated properly??? Hi Monster and thanks Phil for prompting monster. So the series of events went as described, but I will add some things; initially when they tried to code the new rear module they didn't copy the settings from the old one, it was a case of it's a 997, coupe, with an alarm etc, originally the unit was from a Cayman. It was only after they spoke with someone else that they found out that they need to copy over all the settings, so that's when they swapped the units around, did something in PIWIS, put the old unit back in and said they copied all the settings over. I don't know if you can copy/paste settings, I thought they would have done them one by one in the menu, but hey what do I know! They selected LED from the drop down menu. I have no idea if they did the handover thing. 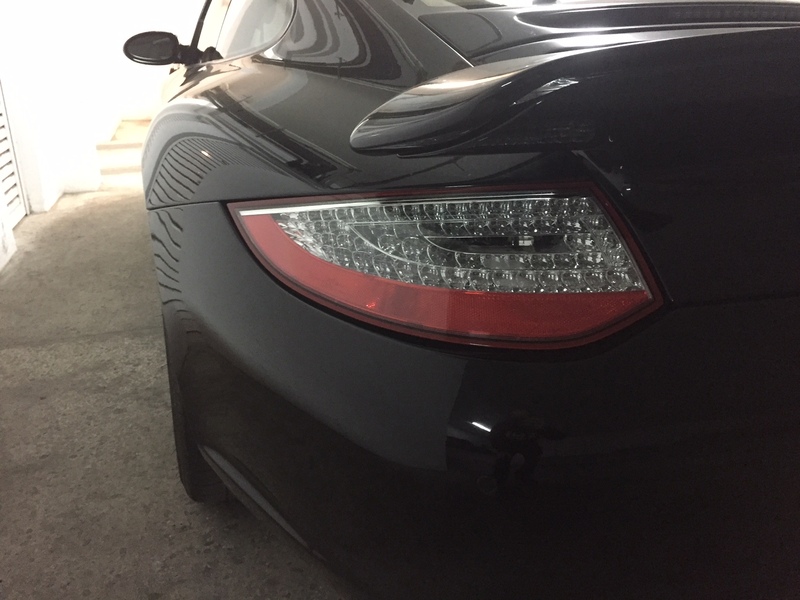 But they said it looks like a problem with the front indicators now, which are LED, however, they were working perfectly before the conversion. As for the horn, I've checked everything and everything is closed, I even put my phone to record in the glove box to ensure that the light was switching off when I closed it. I personally think the horn beep is linked to the rear module that was changed, correct me if I'm wrong isn't it linked to the alarm in some way? These are the Part numbers for the later control units you need, do they match the ones you have used? When we set mine up within PIWIS, we didn't copy in the settings from the old unit, we just went through the options on the new unit and set it accordingly. A vehicle handover at the end of reprogramming is key. If you have the correct control units now in the car, I am pretty confident it is down to the programming - and that may well cure the beep, I would certainly leave the beep until you've solved the flashing issue first just in case they are linked! I haven't changed the front unit as the leds up front had a plug and play module & were working perfectly fine before I updated the rear unit. I'll get it into my friendly OPC and see what they come up with.